Crazy cakes Cape Town, Durbanville. 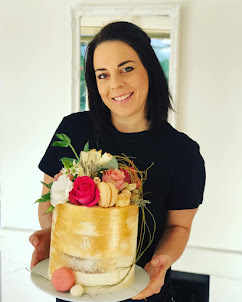 One of the most recent trends in the Cake industry this year, are these luscious buttercream cakes overflowing with chocolate ganache and decorated with all kinds of elaborate and beautiful candy and confectionary. 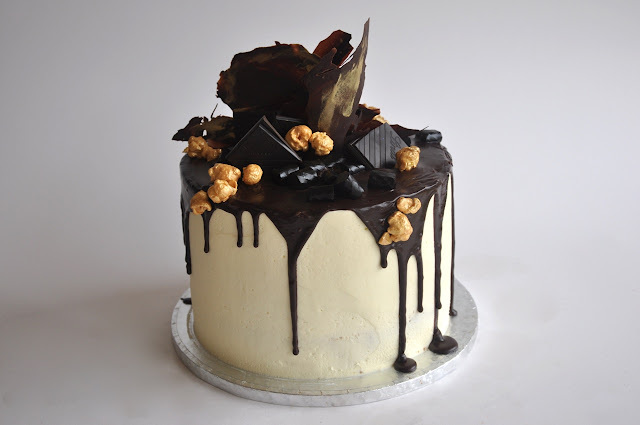 This cake is Rozanne's special dark chocolate cake with gold popcorn, liquorice and always a chocolate crown! Yum!